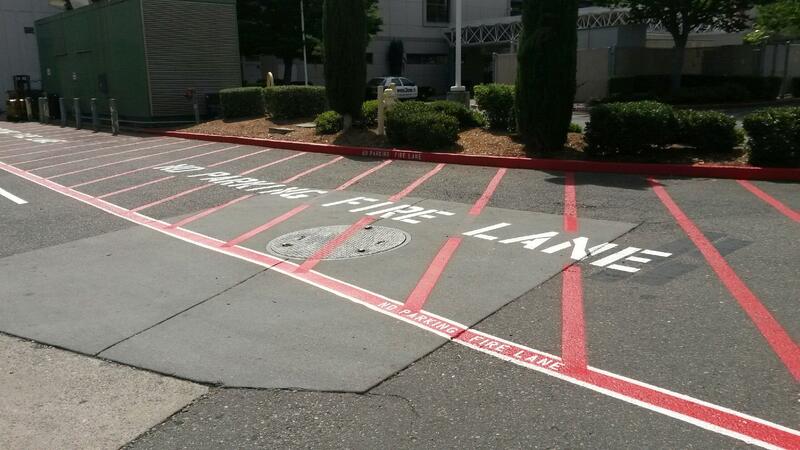 Although you don't need to re-paint your curbs every year, we highly recommend that "when in doubt, paint it out!" 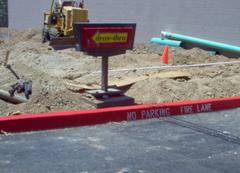 If you don't have your curbs properly marked, you are susceptible to non-compliant fines. 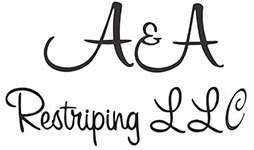 Today, ADA codes and requirements are a hot topic for all business owners. 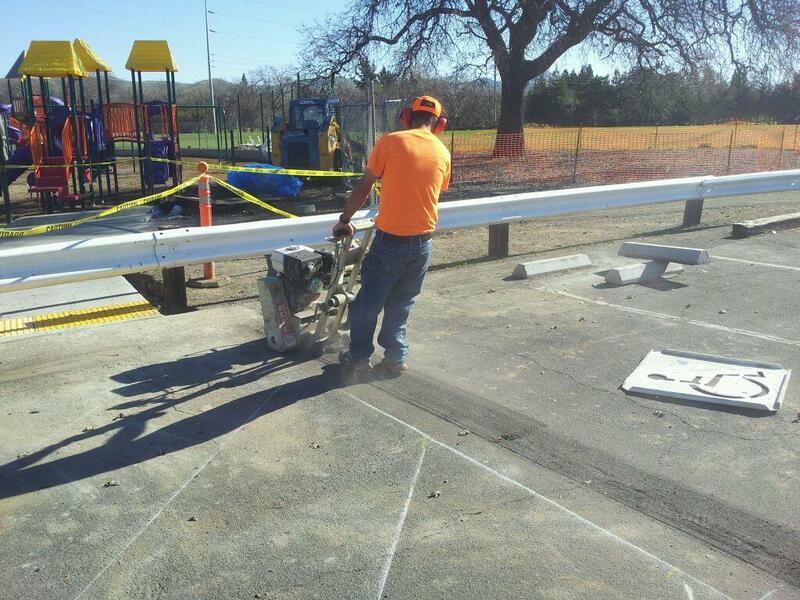 With over 35 years of experience we can help you with pavement maintenance as well as save you time and money by doing our job right the first time. In the past 10 years, the codes for ADA accessibility have been changed several times so it's nearly impossible for business owners, such as yourself, to feel like you are 100% up-to-code. However, there are several quickfix and inexpensive things that you can do to better your situation before spending 10's of thousands of dollars. Contact Us for tips and advice. Every situation is different, but we have seen them all. 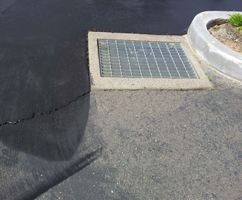 Crack fill provides a resilient seal protecting the underlying asphalt from the elements, which can lead to erosion, crumbling, and pot holes in asphalt. Crack fill is an asphalt emulsion blended with proprietary fillers and formulated to repair cracks and expansion joints to help increase the life of your asphalt. 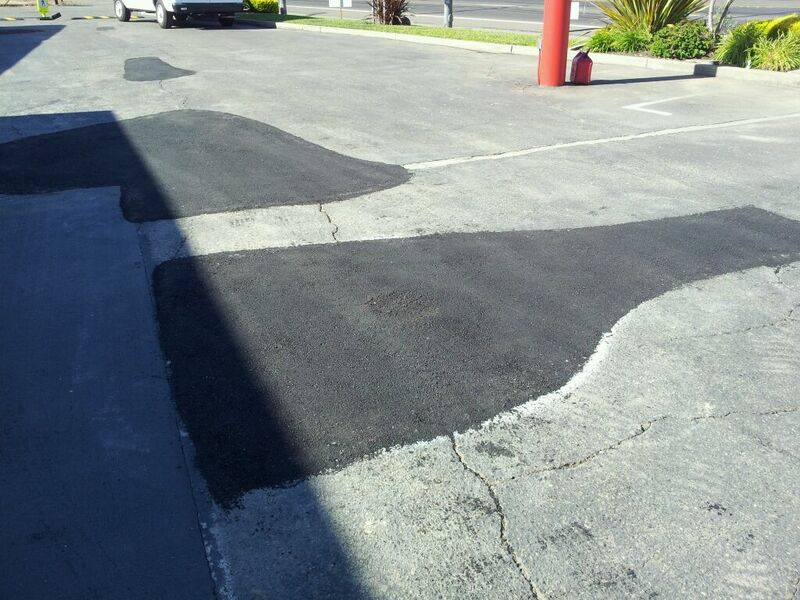 Over time your asphalt may become cracked due to water settling and/or seepage, foot and/or automobile traffic, as well as tree roots and/or lack of preventative maintenance. 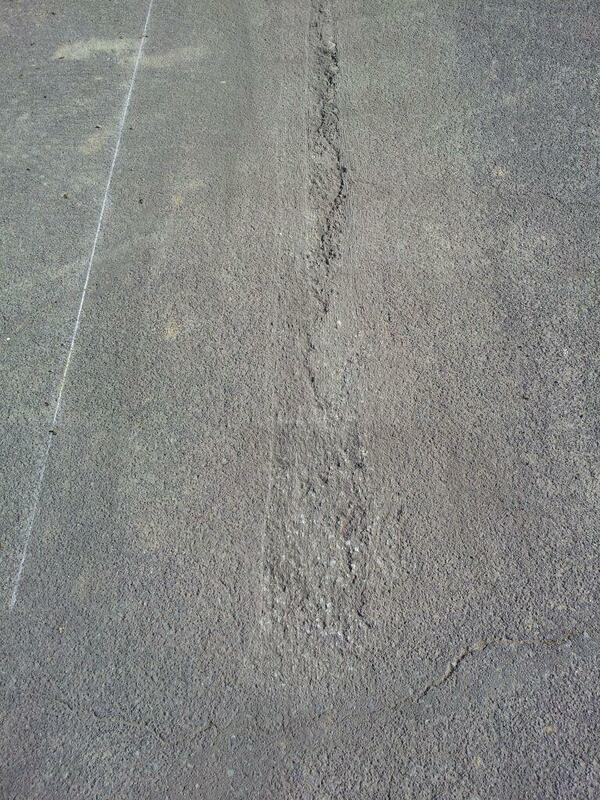 These cracks can easily turn into pot holes, ruts or even separations in your asphalt. By removing the damaged asphalt and replacing it with new hot mix asphalt, you prevent further damage to your existing asphalt. 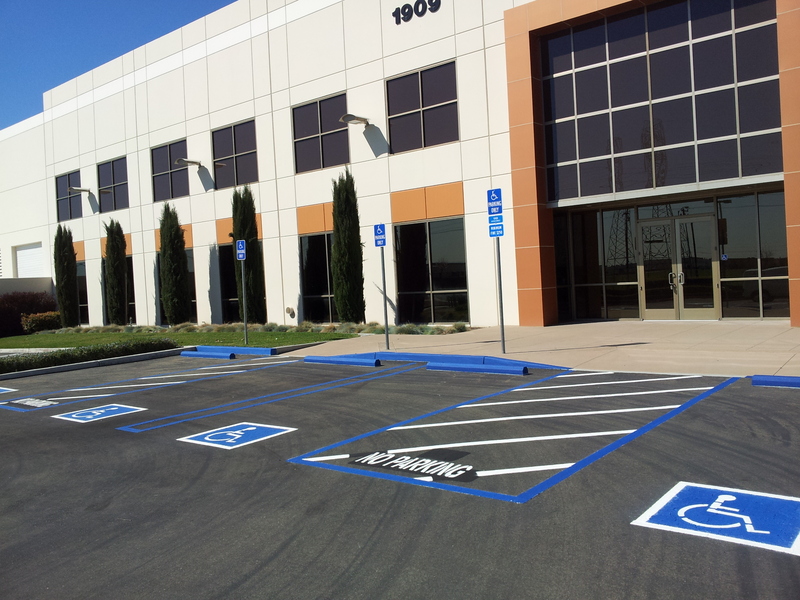 Your professional appeal makes a difference to customers and it begins when they enter your parking lot. 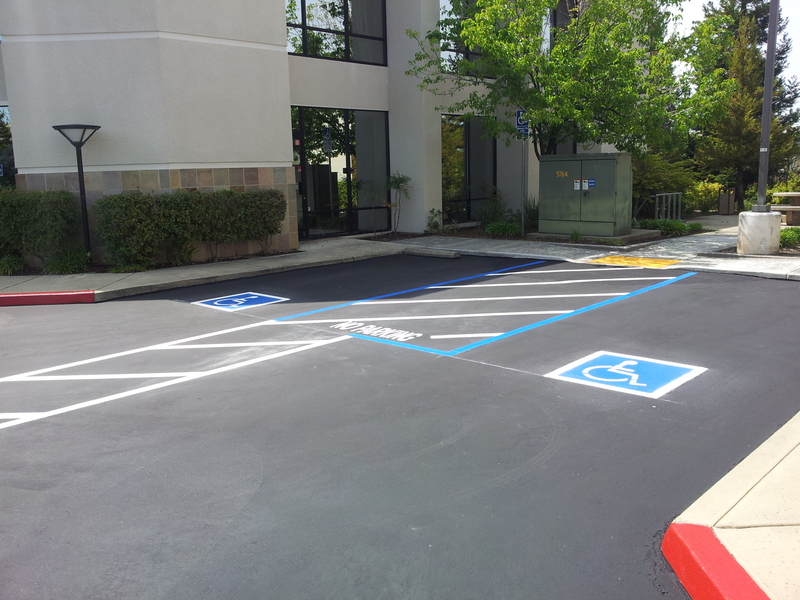 When your parking lots are clean and maintained, customers have a positive perception of your business. 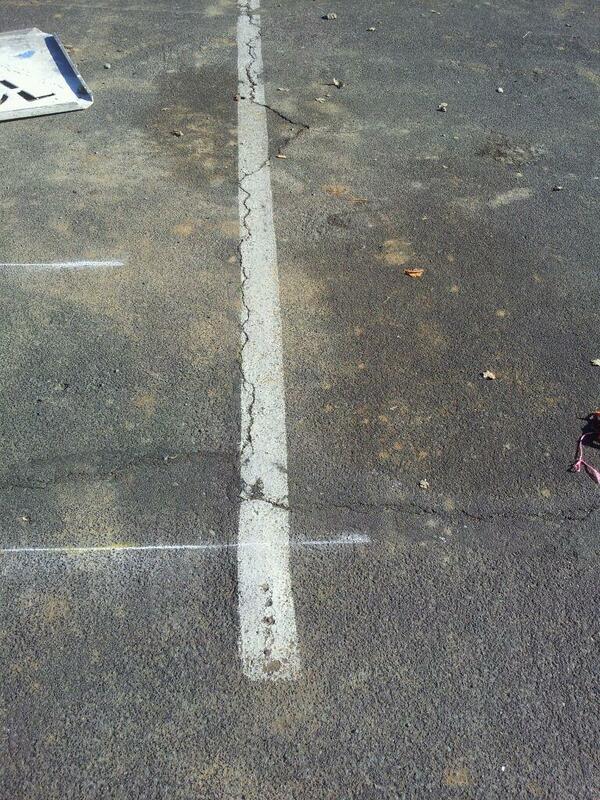 This includes updating your parking lot layout or removing old, unwanted lines from previous layouts.